The 3rd time being held in Malaysia as a yearly event, Korea Day 2014 have prepared an even more exciting event filled with more products and activities by Korean companies, Government officials, local companies and many more. Hosted by Korean Society in Malaysia, there will be a vast items of manufactured products, agricultural goods, cosmetics, education related products, tour/travel packages and more on display during the 3-day event. 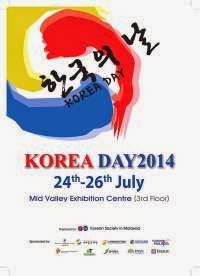 For more information, visit 2014 Korea Day in Malaysia facebook page. 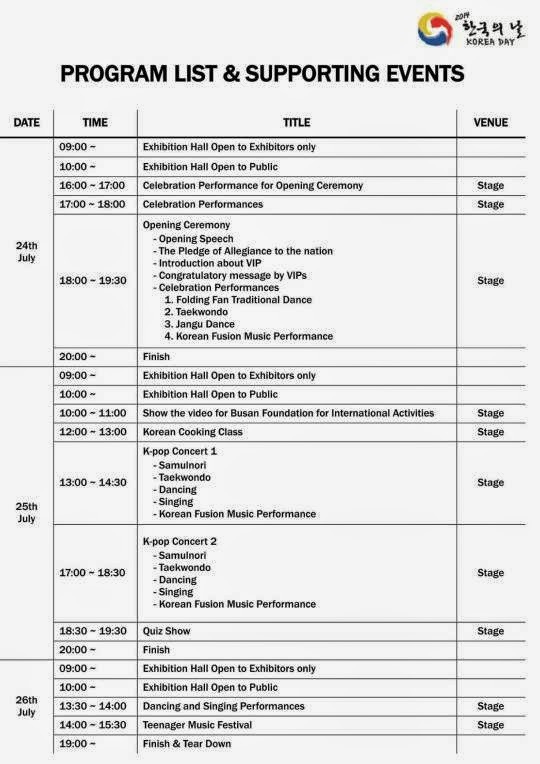 Do you like this Korea Day 2014?